After an all-hands-on-deck meeting, HP has decided the fate of WebOS. HP is going to open source the mobile operating system. HP also promised to be an active investor and participant in the new open source project, although no new hardware using the OS is scheduled at this time. This is both an ending and a beginning for WebOS, which HP purchased as part of their acquisition of Palm a year and a half ago. HP has transitioned through three CEOs in that time period, and WebOS has seen varying levels of management support. Perhaps as a result of this on-again off-again interest, phones like the HP Pre3 never got traction in the market, and the TouchPad tablet failed to attract customers until HP held a fire sale to clear out inventory after announcing the end of their involvement in WebOS mobile devices. It will be interesting to see if the open sourcing of WebOS attracts new interest from OEMs. HP had previously considered either licensing the OS or selling it off, but failed to garner enough interest to do so. HP could in theory pursue the same model as Google has with Android, although that requires a substantial investment in software development, and it’s not clear that a hardware company like HP has could leverage this business model the way Google has. Any developers or WebOS fans out there that are hoping to tinker with the OS once it’s open sourced? this will make it easier for developers. i think ill pick up one of the refurbed ones for $99. the hardware is nothing special, but a 10.1" dual-core android (hopefully ICS soon) tab for $99. hp touchpad on the ground! i ain't part of your system! hot dog man! This is the best thing that Hp could have done. at least its still alive and they still have a chance to make money off of it. At this point, I agree...but I think it's too late for WebOS. HP hasn't really instilled confidence in the OS itself so why should developers? Palm should have done this from the start...but I guess we will see what happens. 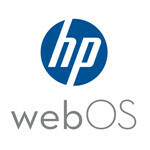 How is HP going to make money off open-sourcing WebOS? The only way they make money is if an OEM licenses it or they get consulting/support $. WebOS doesn't have the installed base footprint for consulting/support. It would seem that OEMs would be more interested in Android than WebOS. Depends on what the long term plan for WeBOS is. And if HP has the stomach to see it through. This is no short term solution. I would support WeBOS if the products were there. We will have to see. I am open minded, but not really all that hopeful. I think other than a company like LG or HTC buying it and trying to "make it their own", this was among the best outcomes for it. Hopefully they put some $$ into development for it and we start to see HTC and Samsung WebOS phones. Put webOS on a SGS2, I bet it would sell quite well compared to previous webOS phones. I hope HP will day as palm one day as I was heartbroken when they bought palm and start to dig the grave for it the webOS. everything that HP touches get F**UP I have two laptops from HP and they bought are crap as the hardware goes. So thank you HP for killing webOS, long live whatever. Well this was unexpected. If open source developers embraced this, its gonna be a gamechanger. From today till Jun 2012 things are gonna change a lot.